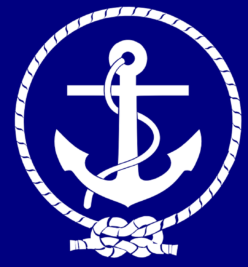 Upcoming Classes: Tampa and Seattle! I'll be finishing out the Summer with two upcoming weekends of classes. First up is Scraporium in Tampa, FL (one of my favorite Florida stores) where I will be teaching three classes the weekend of July 14, 15 and 16. 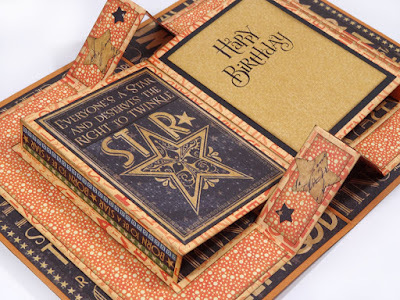 Friday July 14th evening: Guests can choose between Midnight Masquerade or Vintage Hollywood collections to make this useful Card & Tag Station. 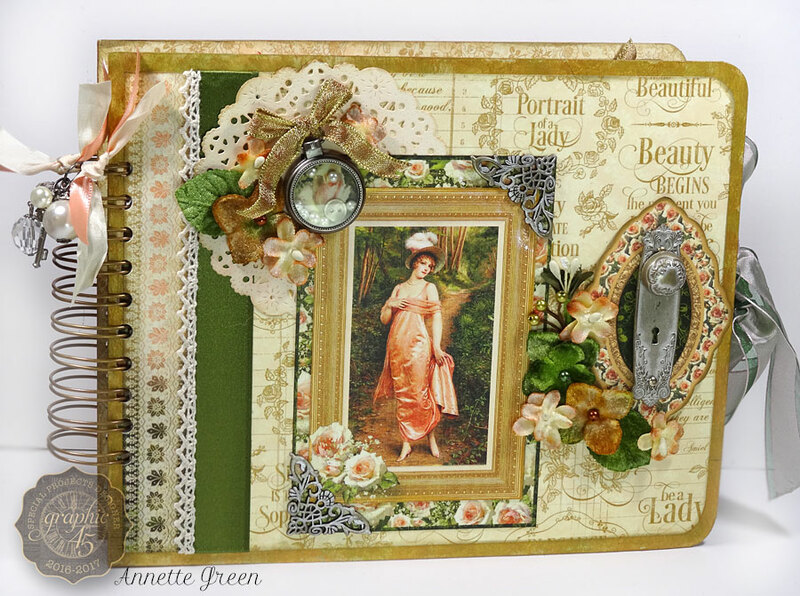 Saturday, July 15th all day, we'll create this interactive and beautiful Portrait of a Lady 8" x 10" album filled with lovely imagery, envelopes, pull-outs, pockets and tags. 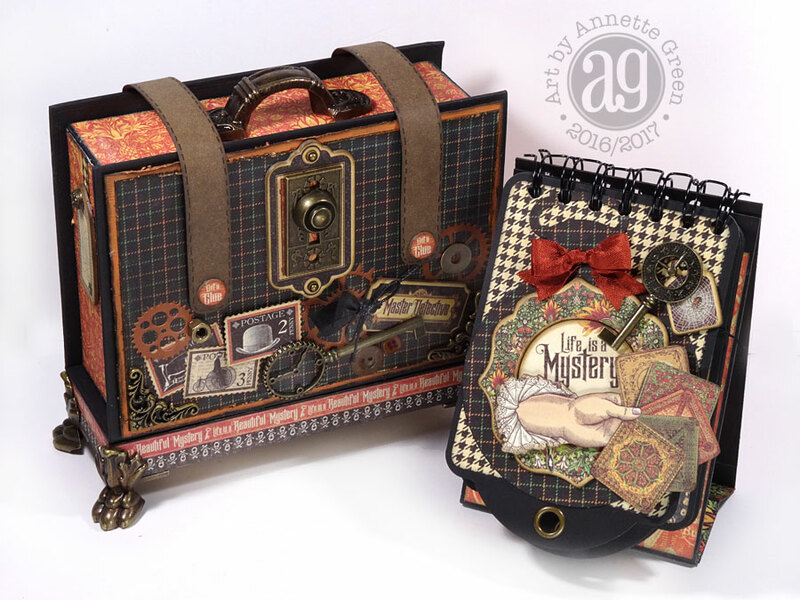 Sunday, July 16th all day, we'll create this fun and whimsical Olde Curiosity Shoppe chunky square tag and pocket album with matchbook box to store it in. Please contact Denise directly at Scraporium to sign up for your spot, or for a take-home kit. My kits are always pre-cut, sorted neatly in organized bags, along with full step-by-step instructions with sharp color photos. All you need is adhesives and a few basic crafting tools. And if you're over on the west coast of the U.S., I'll be teaching at Running With Scissors in Kent, WA (near Seattle) Saturday August 12th. 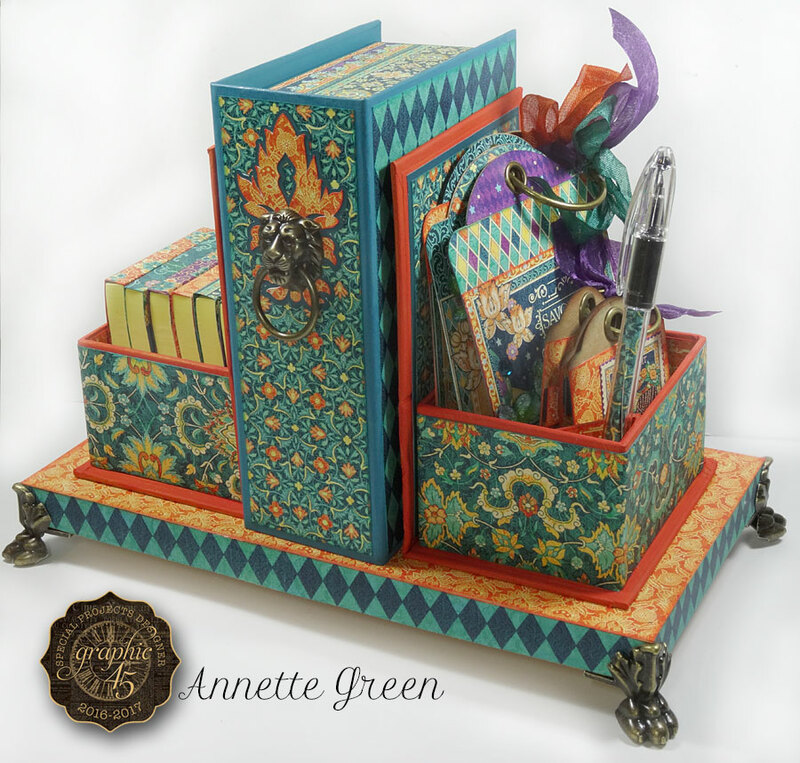 Fellow Graphic 45 Special Project Designer Maggi Harding and I will each offer a special class just for this store! In the afternoon, we'll create my fun Master Detective briefcase and mini tag album. Lots of fun elements in this paper collection to play with, and loads of metal adornments to give it an authentic, vintage feel. This can be used for Halloween photos, as a special masculine gift, a memento from a mystery dinner party, or for that Sherlock Holmes fan in your life, just to name a few ideas. 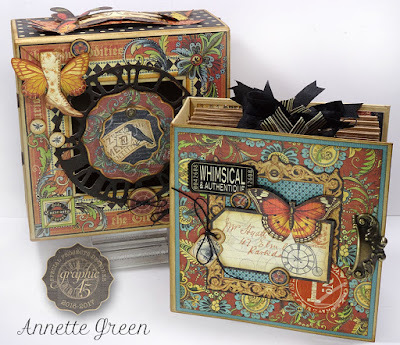 In the evening, Maggi will teach this lovely layout trio using a variety of beautiful Graphic 45 collections. 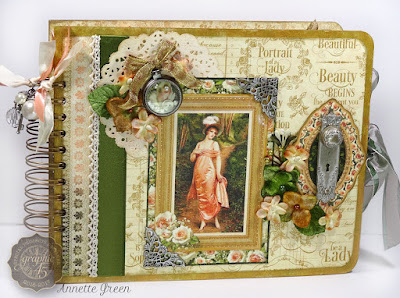 Maggi is a master at layouts, flowers, and gorgeous layering! This is class you won't want to miss. So, be sure to sign up quickly before these great classes fill up. Space is limited! Check their website for all the details, pricing, and supply lists first, then contact Running With Scissors to reserve your spot. Hope to see you at one of these classes this Summer! Now that I'm settled back home for a bit, I've composed another video tour of my latest teaching gig at The Scrapbook Store and More in Greenfield, Wisconsin right outside of Milwaukee. This fabulously huge, delightful store is one not to miss if you're in the Milwaukee area. 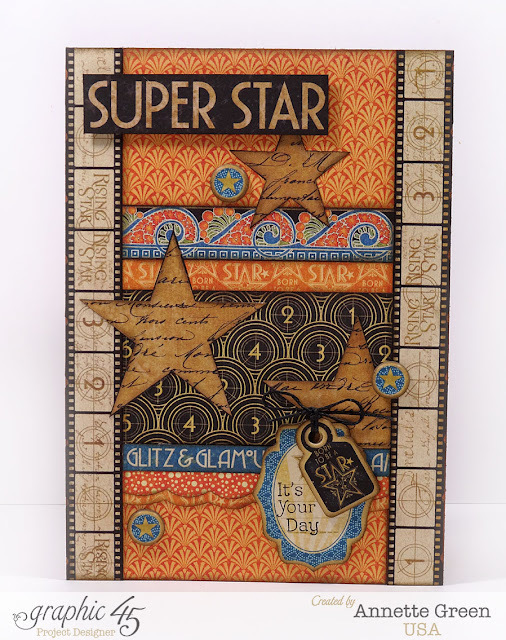 Christine Slak, the owner, knows her stuff when it comes to not only stocking and marketing her wonderful store, but she's also a creative person; something you don't always see in scrapbook store owners. She often designs and teaches her own projects at the shop. 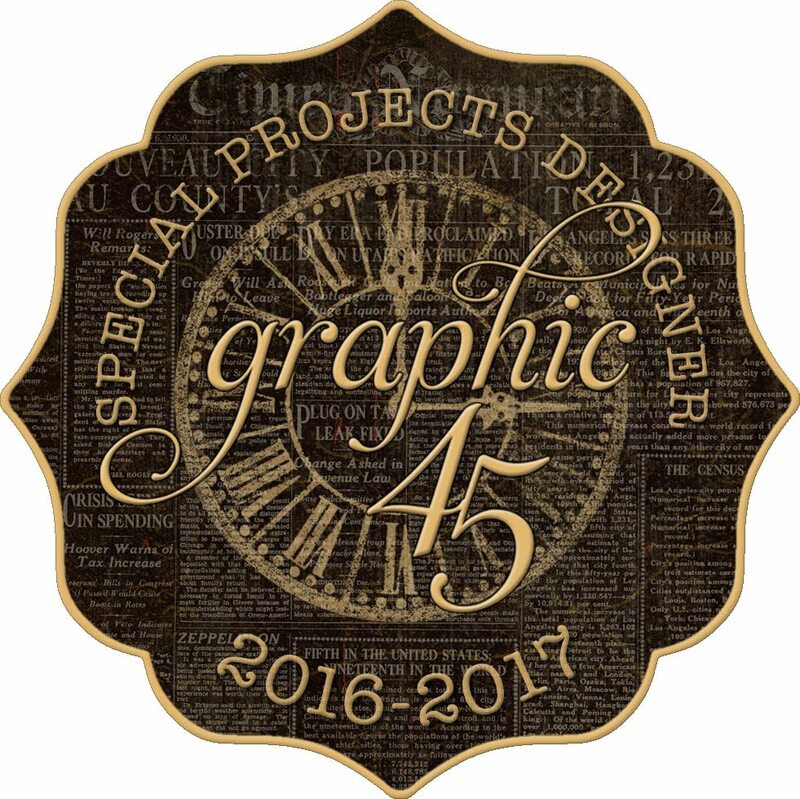 Graphic 45's new Spring releases are now in stores! 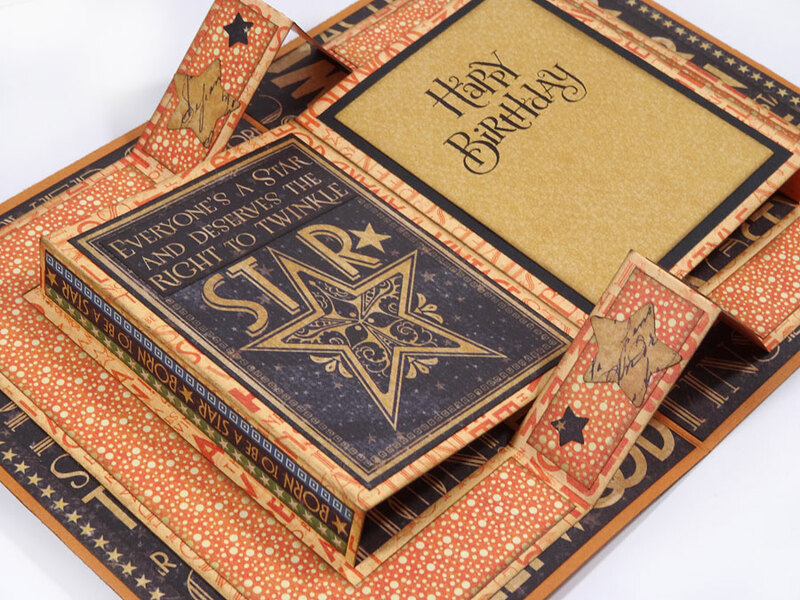 This includes the fun "Master Detective" collection (think Sherlock Holmes meets Halloween) and fan-favorite "French Country" in the form of a Deluxe Collector's Edition. I thought I'd share a quick video of my first creation with Master Detective above. 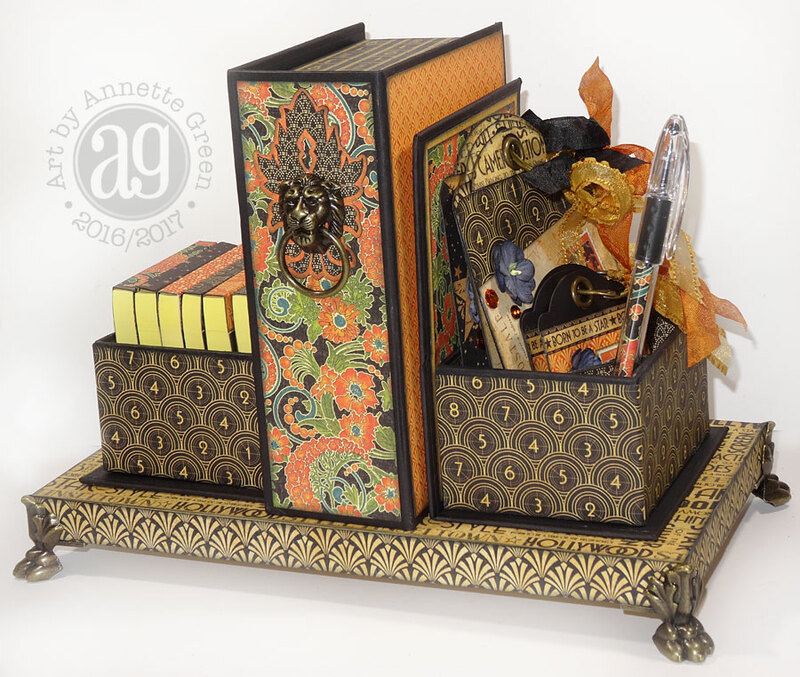 I'll be teaching this at Running With Scissors Kent, Washington this August with my pal Maggi Harding who will also be teaching a fantastic layout class. (Click on my calendar tab above for info and links).